Beginning in January 2009, plans for an enhancement of the library space began to take shape. 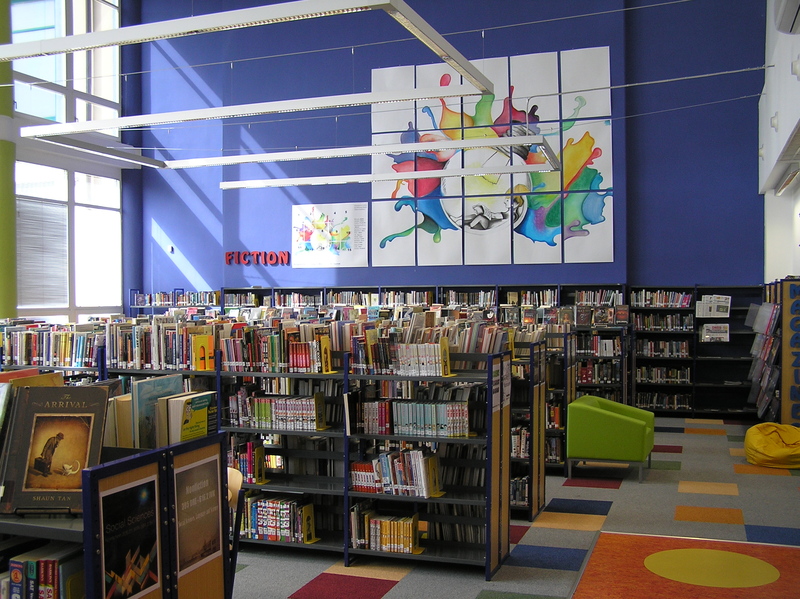 Over the next 9 months, the library was transformed into a more user-friendly, colorful, and flexible space. The enhancements made the space brighter and more welcoming. Various forms of soft seating, including comfortable armchairs and bean bags, were added to make the space more appealing. The enhancements also provided more functional work spaces for individuals and small groups, and created a new teaching space. The key to this was the realignment of preexisting shelving to provide simple barriers between the spaces. Also, we created two group work rooms that could be signed out for small groups. These rooms provided a degree of soundproofing, and made it so other people would not be disturbed by students doing group work. Also, it allowed for the Library staff to easily monitor behavior by having the glass rooms positioned in clear sight of the circulation desk. Over, the enhancement made the library a more attractive, flexible, user-friendly space for the ISP community.